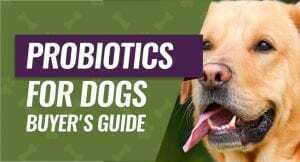 What are Probiotic Supplements and Can They Help My Dog? Can I Give My Dog Human Grade Probiotics? If you're like us at PuppyWire, you know that nothing compares to coming home to your healthy, bright-eyed, tail-wagging pet. While feeding your dog a balanced diet is important, supplementing it with probiotics will keep them feeling their best. Probiotics contain healthy gut bacteria which, when regularly ingested, improve dogs' digestion and overall well-being. Picking the right product for your pet's health is essential, so we've compiled a list of some of the best probiotics for dogs available today. 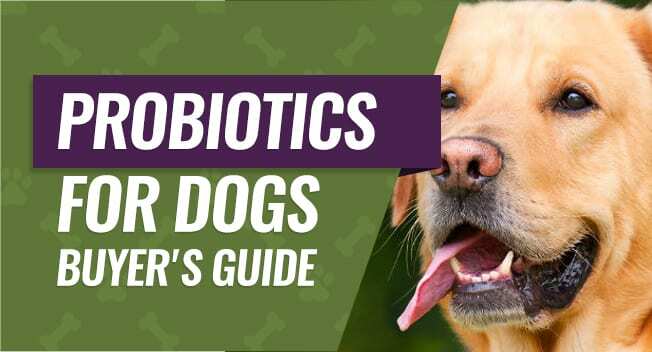 Probiotics are essentially live bacteria and yeasts that promote good overall health in dogs, especially when it comes to their digestive system. Although we usually think of bacteria as being harmful and the source of illness, probiotics are a good, healthy kind that is important for both people and animals. 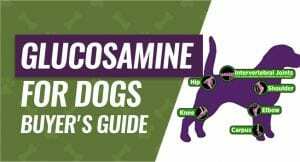 These supplements can be of great help to both cats and dogs that are having gastrointestinal problems, but they are also important for preventing future health issues. Probiotic supplements can be of great help to dog owners who want to ensure that their pets live a full and healthy life, as they come with a number of benefits, ranging from preventing diarrhea to lowering cholesterol levels. 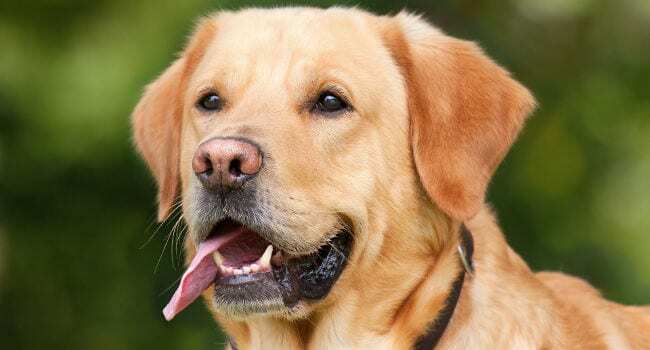 These natural bacteria are important for the normal, healthy functioning of your dog’s digestive system and they have a lot to offer when it comes to helping your dog to get what its body needs on a daily basis. The short answer would be yes because there have been no findings that giving your dog human grade probiotics would have any negative effects. However, a human grade probiotic will fall short for helping your dog because their digestive tracts have different needs. There are differences between a human and a dog's digestive tract, and this includes the acidity level of the various digestive enzymes and stomach fluids. A human grade probiotic hasn't been tested for its effectiveness on a dog's digestive tract, so we have no way of knowing how well it'll work. Each dog is different, and they will need a probiotic that is tailored to their individual needs. This could leave you asking yourself what, exactly, do you look for in a probiotic for your dog? Bacillus coagulans. 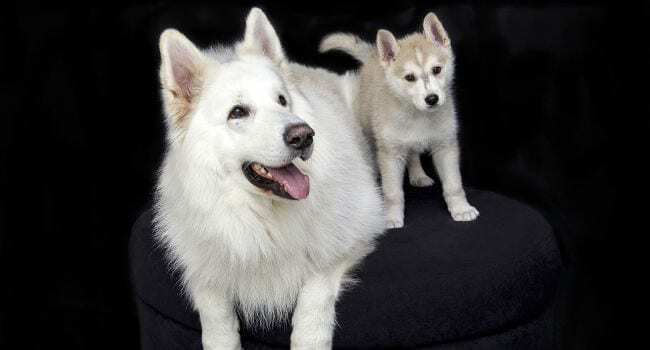 Bacillus coagulans helps to protect your dog from harmful bacterial strains. It forms spores, and this helps to coat the digestive tract to protect it. Bifidobacterium animalis. Bifidobacterium animalis can be found naturally in your dog's large intestine. It is used as a digestive aid, as well as supporting immune health. Bifidobacterium bifidum. Bifidobacterium bifidum can help strengthen your dog's immune system. It is also capable of helping to balance the bacterium inside your dog's stomach. Enterococcus faecium. Enterococcus faecium is found in your dog's stomach. It helps your dog digest their food better, and it helps to keep a good mix of bacteria in the dog's stomach. Lactobacillus acidophilus. Lactobacillus acidophilus is a naturally occurring bacteria in your dog's digestive tract. It helps your dog digest their food better, and it strengthens their immune system. Lactobacillus casei. Lactobacillus casei is another strain of bacterium you should be looking for in your dog's probiotic. It will help aid with digestion and it helps protect the digestive tract lining. Lactobacillus plantarum. Lactobacillus plantarum is a strong strain of bacterium that can survive going through your dog's digestive system. It helps to treat diarrhea and improves your dog's liver health. VSL#3. VSL#3 contains billions of live bacteria, and when you mix it with a probiotic, you have a recipe for a powerful immune boost. It is also strong enough to survive the harsh digestive enzymes in your dog's stomach. You want a probiotic with at least a few of the bacterium listed above. If you're looking at human grade probiotics, you'll have trouble finding them. So for your dog, a probiotic that is marketed toward your dog is better overall for them. It'll contain many of the ingredients we listed, and these will help to keep your dog balanced, happy, and healthy. Probiotics for dogs offer undeniable health benefits that healthy diet and exercise alone do not. 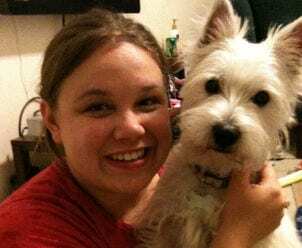 A study done in 2010 to test the efficacy of probiotics observed that dogs with diarrhea recovered a total three days faster if administered probiotics. With nearly 70% of the immune system and 80% of plasma cells making their home in a dog's gut, the health of its bacterial ecosystem is of critical importance. Although the list of benefits is endless, here are some key advantages to supplementing your dog's diet with probiotics. 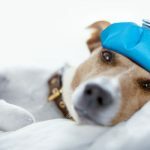 If you are thinking about giving your dog probiotics to help with digestive health among other things, it is important to know what the side effects are. Just like any other type of medicine, probiotics do come with some side effects, though most of them tend to be mild and affect the digestive system, presenting in the form of gas or bloating. Probiotics can, however, cause more serious side effects. Most of the more serious side effects from probiotics have been known to occur in people, though they can also present in animals such as cats or dogs. These kinds of supplements can theoretically cause infections that must be treated with antibiotics, but these kinds of side effects are fairly rare. Probiotics can also cause metabolic problems as well as over stimulation of the immune system. Dog owners who are considering giving probiotics to their pets should put off doing so until they have talked with their local veterinarian. While it is true that probiotics can be tremendously beneficial for these animals and the side effects are usually mild, it is still important to get advice from a trained and licensed vet first. It is important to keep in mind that while side effects from probiotics can occur, the more serious ones are considered to be very rare and the health benefits outweigh the risks significantly. There are countless probiotic dog products on the market that can be delivered in many forms and provide a wide range of benefits. To narrow down your options, consider factors like your dog's age, health, diet, taste preferences, ingestion preferences (chew or swallow), and more. Similar to your pet's main diet, age is a factor that you should keep in mind when deciding on what probiotics are best. There's a distinct difference between the nutritional needs of a puppyand an adult dog and many probiotic manufacturers acknowledge this by supplying specialized puppy formulas or age instruction on their product labeling. Puppies are extremely susceptible to nutritional deficiencies and digestive upset. Introducing healthy gut bacteria to their system, as probiotics do, will boost their immunity, reduce the occurrence of abnormal digestion, and minimize their chances of developing a chronic illness as they get older. Dosing, nutritional density, and form of ingestion are the main differences between puppy and dog probiotics. Puppies may be more resistant to swallowing the pill form of a probiotic and they also require a smaller daily dose than an adult dog would; never forget to read the dosing instructions! Does your dog suffer from a health condition like kidney disease, gastrointestinal disease, obesity, or allergies? If so, there's likely a specific probiotic formula available that will address the health needs associated with the condition. If your dog suffers from obesity, for instance, you have the option to choose a probiotic formula that is geared towards healthy weight loss. Implementing the formula with the right treatment emphasis will get you the best results while continuing to offer the other general health benefits of probiotics. Dogs with specific diets or diet sensitivities may require a specific type of probiotic. For a dog with a dairy sensitivity, for example, look for a non-dairy probiotic. Regardless of what your pet's food sensitivity is, make sure you read the ingredient label of your probiotic beforehand. Ensuring there are no potentially toxic additives could help prevent disastrous consequences. 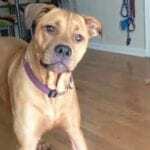 If your dog is somewhat picky, you may be familiar with the frustration of excitedly bringing home a new treat for your pet to try only to have them turn their nose up at it. Your dog's taste preferences are important considerations when you're deciding on the best probiotic for your pet. You may want to get a probiotic that is flavored to the regular food they eat. Probiotics come tasteless or in a variety of flavors, including, but not limited to, chicken, bacon, and beef. 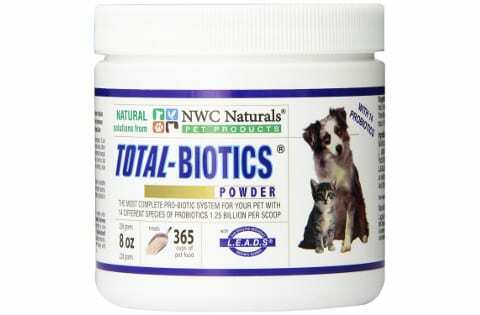 Probiotics come in pills, powders, dog foods, treats, and liquids. Do you think you'd have more success feeding your dog probiotics in pill form, mixed in with their food, or as part of a treat? Your dog should not only enjoy the taste of the probiotic, but have no issue with ingesting it. Many people elect to avoid probiotics in pill form for their pets, due to the difficult task of convincing their dog to swallow it. Hiding the pill in a block of cheese or glob of peanut butter often has negative health consequences and doesn't always work. Powders and liquid mixed in with their normal food or dog foods and treats infused with probiotics are often easier methods of delivery. Affordability: How much room in your budget do you have for this expense? Organic: Does this product contain natural ingredients without any harmful additives? Eco-friendly: Is the production of this product harmful to the environment? Animal-friendly: Were animals harmed or treated unfairly to make this product? Vet-recommended: Does your vet approve of this probiotic product? Now that you know the basics about probiotics and what to consider before moving forward with a purchase, here are five of our favorite probiotic products we think you should check out. Does your dog also suffer from joint or hip pain? 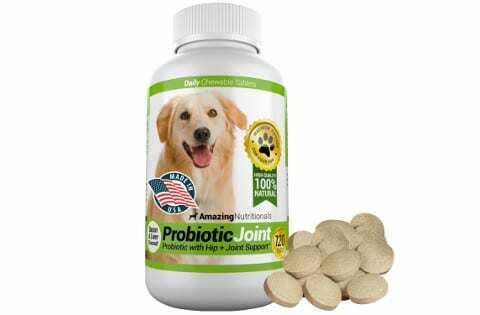 Amazing Nutritionals Probiotic Joint for dogs is a probiotic supplement that works to improve the health of your dog's digestive tract along with the health of their skin, coat, and joints. We like that this probiotic supplement has no harmful additives or byproducts and is 100% natural. It comes in a chewable, bacon or liver flavored tablet that makes less of a mess than powder. One bottle comes with 120 pills at seven-billion CFU per supplement. The company boasts of a 100% money-back guarantee if you are unsatisfied with its results. The guarantee is important because in our research we did find some customers that say it didn't work for their dog. We found more people saying it worked for their dog but no two dogs are alike so having the guarantee helps if it doesn't work out for some reason. Purina Veterinary Diets Fortiflora helps your dog maintain a healthy immune system, has live active cultures, and is even fortified with antioxidants and vitamins A, E, and C.
This probiotic comes as a powder and is packaged in 30 gram sachets. Each box either contains 30, 90, or 180 pouches. The pouches also help make it easy to give this probiotic to your dog. Just open a pouch and mix it in with your dog's food. 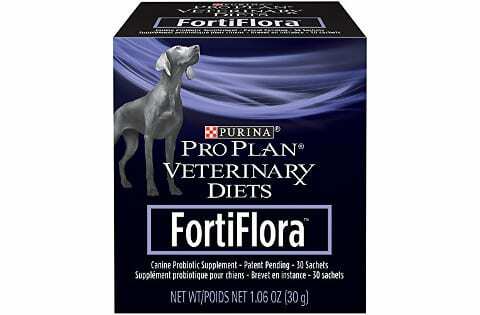 Fortiflora is vet-recommended and is a powder probiotic that is made in the USA. One of the major issues that customers have with this probiotic is that it can be expensive compared to other brands. 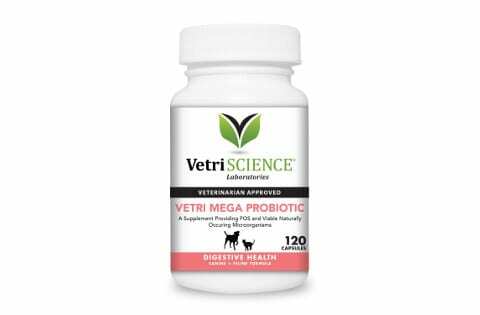 The VetriScience Vetri Mega Probiotic for dogs is another probiotic formula which will support your pet's overall health, with an emphasis on digestive tract health. The formula contains eight different strains of five-billion micro-orgranisms per capsule. The distinction of this probiotic supplement is that is free of dairy. If your pet is lactose intolerant, the VetriScience Vetri Mega Probiotic may be the perfect fit for you. This vet-recommended product contains 120 capsules. Many report satisfaction with this option because of its low cost for good value. The Nusentia Probiotic Miracle is a tasteless, vet-recommended probiotic powder that contains over 360 billion CFU per jar. 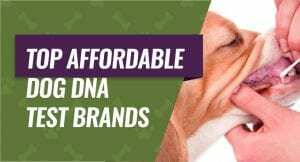 Its vegetarian and allergy sensitive formula is safe for a wide array of dogs with varying health conditions, including loose stool, bad breath, constipation, diarrhea, and more. Each of the strains contained in the formula work to promote the overall health of dogs. One of the probiotic strains, B. animalis, contained in this probiotic product has been show to severely reduce the risk and duration of diarrhea in dogs. Each jar will last for up to 360 doses for dogs that weigh under 50 lbs. and 180 doses for dogs over 50 lbs. Probiotic Miracle is also made in the USA. 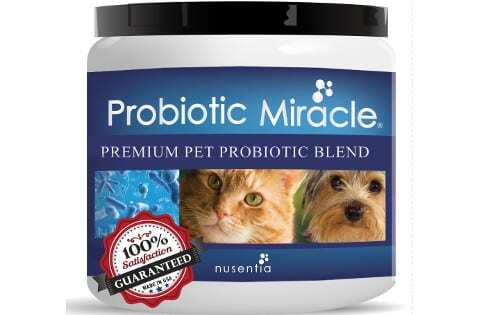 This probiotic supplement is vet-recommended and has been top-rated in America for six years. It also is made in the USA. It offers a wealth of health benefits for dogs, like the promotion of proper elimination, a heightened immune system, and the production of B vitamins. This probiotic contains 14 different strains to promote overall health and wellness. Its effectiveness is made possible because it contains the world's first patented stabilized glutamine, an essential amino acid. It's available in either a 2.22 oz. or 8 oz. size. The 8 oz. size treats 365 cups of pet food using their dosage instructions of one scoop per cup of food. If stored in a way not according to instructions, product will be ineffective. Our favorite pick from the list is Amazing Nutritional Probiotic Joint. At one of the most affordable rates, this probiotic is all-natural, comes with a money-back guarantee, and provides the widest amount of health benefits. 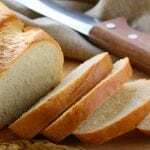 Unlike the others on this list, it is built with ingredients that consider dogs with food sensitivities and joint problems. Regardless of your dog's health conditions, allergies, or other restrictions, this probiotic is safe to supplement to your pet's diet and exercise.